Join your colleagues to Evolve through the changing advancement reality in Canada. The 2017 CCAE National Conference in Hamilton, Ontario, will explore big ideas with big energy as we celebrate the best of our profession. With its theme of The Creative Journey, the 2016 CCAE National Conference will explore innovations, solutions and best practices by and for Canadian advancement professionals at every experience level in key advancement disciplines. 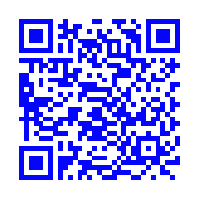 To access the CCAE mobile app, follow the instructions below or simply scan the QR code. iPhone and iPad users: search “CCAE 2016" in the Apple App Store. Android users: search “CCAE 2016" in the Google Play Store. Cosmopolitan, multicultural Montreal is the site for the 2015 CCAE National Conference – a perfect complement to the multifaceted #ccae2015 program. Join your colleagues from all regions of the country during Canada’s premier educational advancement event. iPhone and iPad users: search “CCAE 2015" in the Apple App Store. Android users: search “CCAE 2015" in the Google Play Store. View photos from CCAE National Conferences from 2012 – 2014 here. Come Together . . . Right Now!